Convenient and fun large Sand Table. Keep your children occupied and let them have fun with this Large Sand and Water Table. 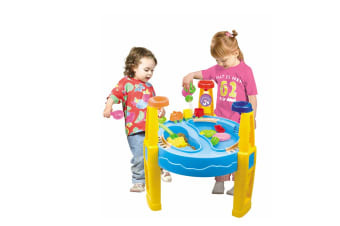 There are many possible ways that children can play with the Lenoxx Large Sand and Water Table. 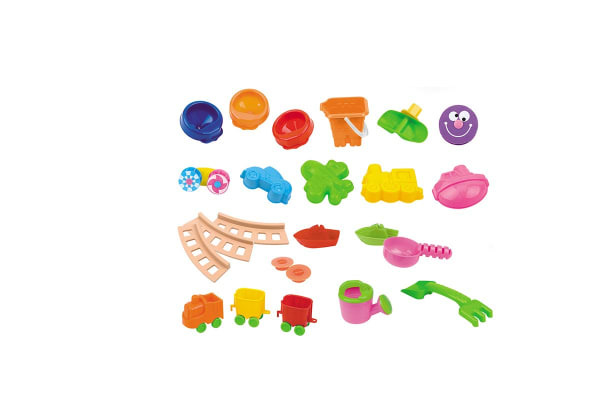 With over 20 accessories, such as an interactive train track, sand moulds and water cans, children can pretend to be builders, sailors or engineers. By pulling the plug to release the water and detachable legs, the table is easy to clean and reuse.